This level is easy but requires you to use good technique to complete this level. For this level first play on one side and break the blockers and then timebomb plus the grill box. 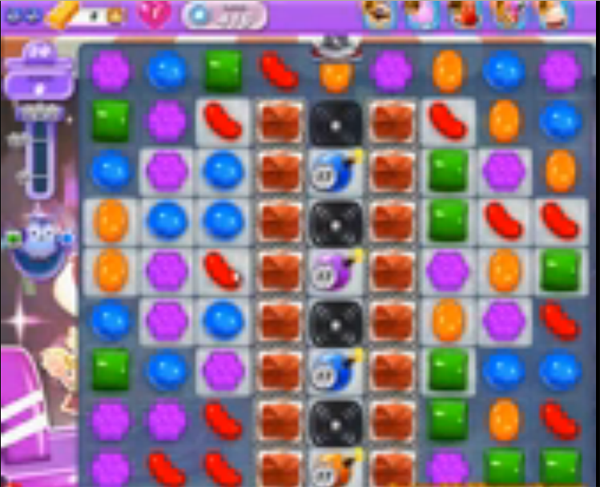 use striped candy with wrapped candy to breakk all blockers and make the special candies and use them in moonstruck that you will get after 13 remaining moves.